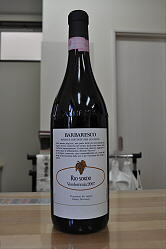 The 2007 Barbaresco offers up generous dark red fruit in an unusually flashy style for this wine. There is wonderful up-front richness, but then the wine loses a bit of depth on the mid-palate. The aromatics are also not quite as expressive as I would have liked. As delicious as this is, I miss the structure of 2006, the fruit of 2005 and the layered personality of 2004, any one of which might have elevated the 2007. As it stands, the 2007 Barbaresco comes across as open, accessible and ready to provide considerable pleasure, at least over the medium term. This is Lot 10.106. Anticipated maturity: 2010-2022. 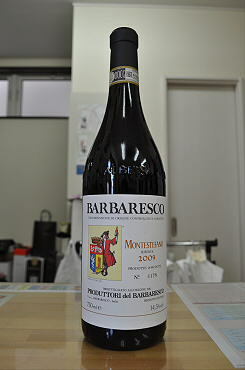 The 2009 Barbaresco Riserva Montestefano shows a high degree of boldness and opulence. This is an immediately generous wine with soft fruit flavors of blackberry and Morello cherry. It shows thick natural density with good tannin management. You sense the structure at the back but the wine never feels astringent or rough. Riserva Montestefano exhibits a tight, thickly woven texture that will contribute to slow the wine's future evolution. In other words, this wine is built like a tank. The 2007 Barbaresco Riserva Rio Sordo is another of the strong wines in this vintage. Rio Sordo tends to yield wines that are soft and perfumed. Those qualities are very much present in the 2007, except that the vintage has added a little more fleshiness than is typically the case. An expressive, open bouquet redolent of crushed flowers, spices and red berries leads to soft fruit in this elegant, harmonious Barbaresco. This looks to be one of the earlier maturing of the 2007 Riservas. Anticipated maturity: 2015-2027+.